Milk Handmade is owned and operated by Chicago-native Hallie Borden. 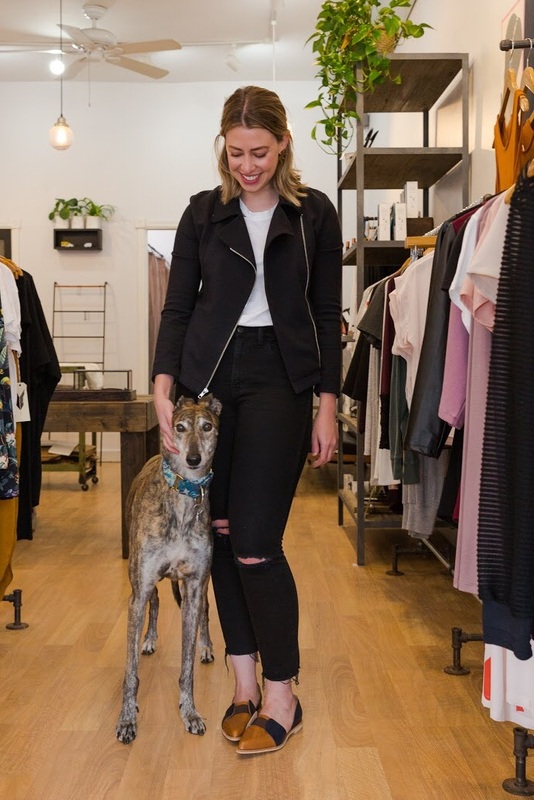 Hallie is passionate about supporting local artists and businesses, and opened Milk in the spring of 2012 as a creative outlet for herself and the entire Chicago design community. Hallie also owns Milk’s next door neighbor, Honey Bridal, with her sister Dana. Sauvie is Milk's beloved shopdog, and can usually be seen fast asleep on the store sofa. She is a retired racing greyhound, and her birthday is February 7th, 2008.